Sheer or semi-translucent fabrics are woven with the finest of threads which allows light to travel through the fabric yet diffuses the view and provides privacy. faAB's modern, ready-made sheer draperies are manufactured using highly advanced quality fibres and high-tech weaving processes. This makes even the lightest of sheer draperies drape-able and durable. 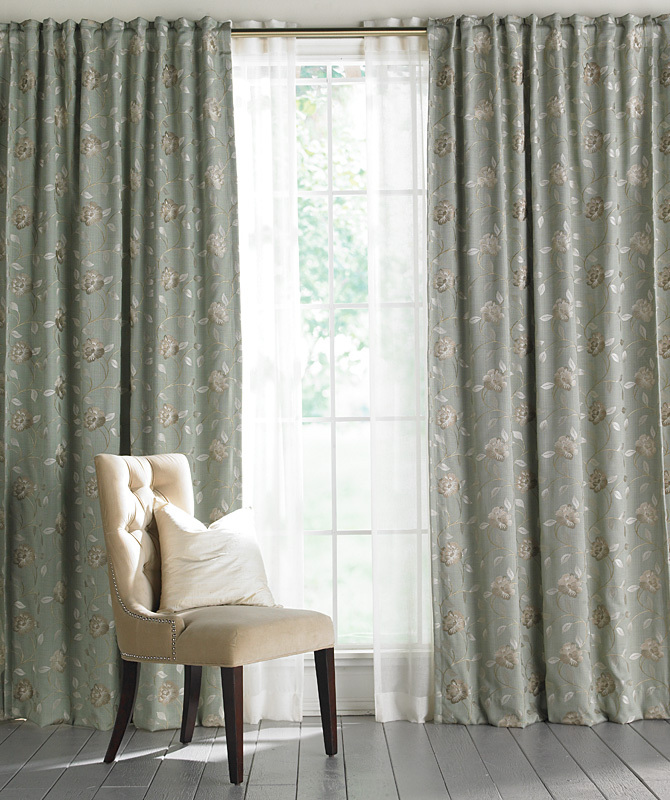 Sheer draperies work beautifully to add lightness and openness to a room. Light will penetrate through the folds of the sheer for a voluminous effect yet provide enough coverage to eliminate unwanted views. Sheers can be used in two ways; as the primary drapery when it is used fully across the width of the drapery pole or as the secondary drapery paired with decorative side panels. When using sheer draperies only, the very best results are attained when you use substantial fullness (we suggest a minimum of two times fullness across the rod, even when the drapery is pulled closed). This will give the window elegance, softness and full coverage. And, because sheers and lightweights are often woven as wide width goods up to 118" (300 cm) the fullness is manufactured right into the ready-made panel. When installing decorative ready-mades as the primary drapery, sheers can be very effective as a secondary set of panels. It is a cost effective and simple solution, particularly when the window has no shutters or blinds and it is necessary to restrict a view. When paired-up with decorative side panels and those panels are pushed back, the sheers will allow light to fill the room but will knock-out an unwanted view.